Do you really regularly see puppies dying of distemper? The vets I speak to in the UK tell me they haven’t seen a case of distemper in ten years. As for parvo, there are examples in my book of vaccinated pups dying of it, with expert opinion stating it was vaccine-induced. Parvo was also created by vaccine manufacturers who cultivated the distemper vaccine on cat tissue infected with feline enteritis and distributed it around the world. We have exchanged distemper and parvo with cancer, leukemia, diabetes, brain damage, skin disease, allergies, arthritis and other autoimmune diseases, all vaccine-induced. We have a sickly dog population, made sick by vaccines. According to Marty Goldstein DVM, and many others (including me), vaccination is just about the worst thing we do to our dogs. What about the dogs who are genetically predisposed to have vaccine reactions. Why are they not being screened out of the program? Why the relaxed attitude about over-doing vaccination? Why are vets vaccinating animals against viral disease annually, when immunity to a virus is known to last for years or life? Also consider the very important work by Dr Teresa Binstock, showing that prior infection and/or antibiotics causes the release of cytokines and permeability of the blood/brain barrier leading to encephalitis post vaccination. Christopher Day, Honorary Secretary of the British Homeopathic Veterinary Association, told us that, in his experience, where the start date of a dog’s illness is known, a high percentage (around 80%) begin within three months of vaccination. Canine Health Concern tested this observation and has analyzed the histories of over 3,800 dogs post vaccination. This critical mass, by any standards, is a very high number from which to draw valid statistical conclusions. Most commercial scientific research involves significantly fewer dogs (tending to base their conclusions on data involving a couple of litters of puppies, if that). We have been able to show a definite statistical correlation between a vaccine event and the onset of a number of specific illnesses. Our published conclusions have satisfied mathematical or inferential statistical tests at a level of confidence of 99% or better. Overall, we found that 66% per cent of all sick dogs start being sick within three months of vaccination, which is considerably more than double the expected rate of illness. Worse, 49% of all illnesses reported in the survey occurred within 30 days of vaccination. This is over five times the expected percentage if vaccination had no bearing on subsequent illness. More damning still, 29% of sick dogs first became sick within seven days of their vaccine jab. This means that a dog is 13 times more likely to become ill within seven days of vaccination than at any other time. In the study, 69.2% of allergic dogs first became allergic within three months of being vaccinated, more than double the expected number. 55.8% of dogs with autoimmune disease developed the condition within three months of being vaccinated, again, more than twice the expected figure. Of dogs with colitis, 65.9% developed the complaint within three months of being vaccinated and, of dogs with dry eye/conjunctivitis, 70.2% developed their conditions within three months, both nearly three times higher than expected. As 2% of all dogs in the UK are epileptic, vaccines are clearly causing horrendous damage. For statisticians, our Chi score for epilepsy is 96: any Chi test statistic higher than twelve gives a 95% confidence about the conclusions. Without doubt, then, the majority of epileptic dogs in our survey are vaccine damaged. But perhaps most astonishing is the fact that a majority of dogs (64.9%) with behavioral problems appear to have developed their difficulties within three months of vaccination. Similarly, 72.5% per cent of dogs with nervous or worrying dispositions became nervous within three months of their jabs (with a Chi score of 112), and 73.1% per cent of dogs with short attention spans lost their attentiveness within three months of vaccination. The CHC results are statistically very significant, and carry with them very high statistical certainty. This means that the evidence is strong that the above diseases can be triggered or caused by vaccination. 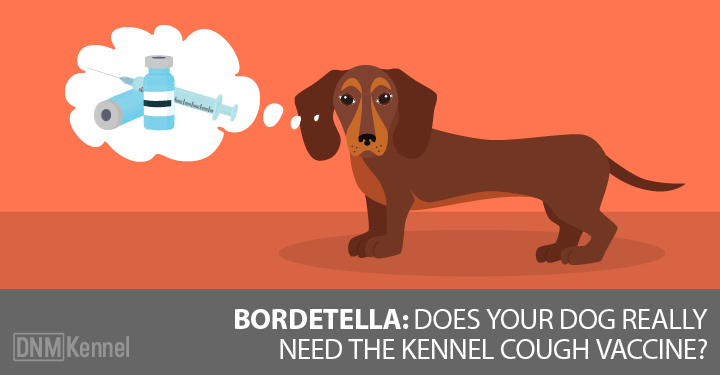 Research conducted at Purdue University shows routinely vaccinated dogs developing auto-antibodies to a vast range of normal canine biochemicals, which corroborates our findings. Interestingly, our study showed that arthritis and Chronic Destructive Reticulo Myelopathy (CDRM, a degenerative disease affecting myelin in the spinal cord) occur in clusters nine months after vaccination, suggesting that the damage from vaccines resulting in these two diseases takes longer to develop or to show their symptoms. Of dogs with hepatitis, 64% contracted it within three months of being vaccinated and, of those with parainfluenza, 50% developed it within three months of their shots. Also, 69% of dogs with parvovirus, 56% of dogs with distemper, and every single dog with leptospirosis in the survey contracted the diseases within three months of vaccination. Our figures support the view that vaccines don’t confer guaranteed immunity and may actually cause the diseases they’re designed to prevent. Our figures appear to demonstrate that vaccines cause illness in one in every hundred dogs and this is a conservative estimate. For human beings, the World Health Organization considers a reaction of one in 10,000 unacceptable. Surely the same statistics apply to dogs.